These beautiful tree themed wedding invitations have a night sky background filled with stars. This is the backdrop for the typography with the wedding details. Surrounding the typography is the beautiful blossom filled tree. 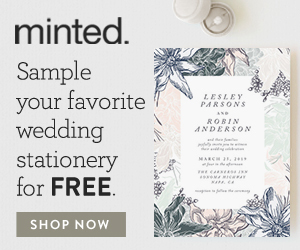 These wedding invitations would be ideal for a romantic outdoor evening wedding in the spring. There is a choice of background colors for the sky: Navy, Plum, Chocolate or Forest. If you choose to have the foil-pressed option then gold foil will be added to the branches in the tree. This looks really beautiful contrasting against the deep background of the starry sky. You can purchase these invitations in the Classic size which is 5×7 inches or the Petite size which is 4.25×6 inches. On the back you can choose to have wood grain, text, flat color or a number of photographs. There is also a choice of silhouette shapes for the trimming and different paper options. 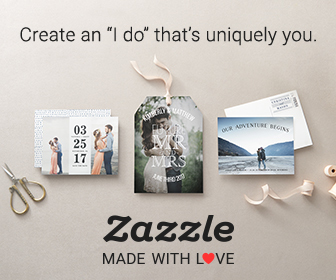 The matching stationery items for this design include a full suite of items such as thank you cards, custom postage stamps, table cards, place cards, menus, favor tags, heart shaped favor stickers, save the date cards, response cards, reception cards and directions cards. There are also wrap around address labels and slip-in envelope liners. The designer of these tree themed wedding invitations is Rebecca Bowen. 4.25" x 6", 5" x 7"